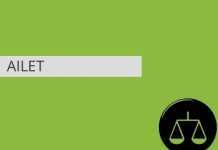 Home Law AILET AILET 2019 Application Form – Process Over! 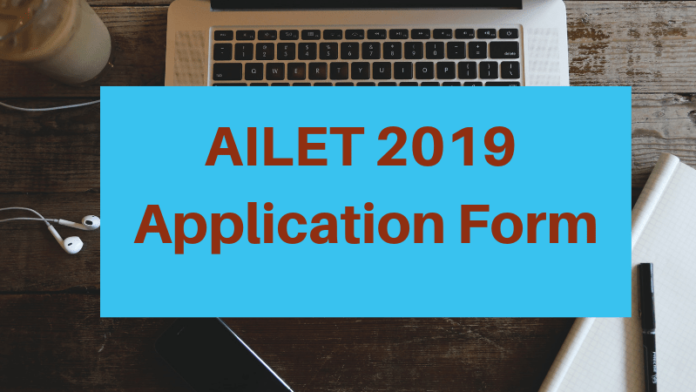 AILET 2019 Application Form – Process Over! 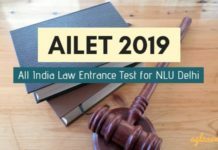 AILET 2019 Application Form – The registration for AILET 2019 has been started by NLU Delhi. 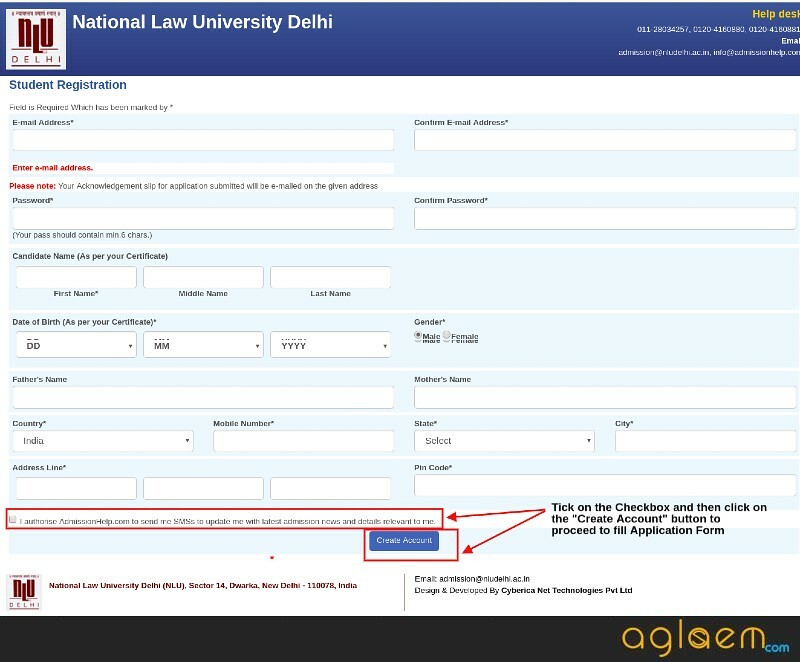 Aspirants can register online at the website, nludelhi.ac.in. The AILET 2019 Application Form has been released for B.A.LL.B. (Hons. ), LL.M. and Ph.D. Programmes. The aspirants have to pay an amount of Rs. 3,050/- for General Category and Rs.1,050/- in case of SC/ST/ PWD. The last date to submit AILET 2019 Application Form is April 15, 2019. The aspirants can check complete details on AILET 2019 Application Form including the complete process to apply, fees, etc. from this page. Latest: Last date for AILET 2019 Application Form is now over. Mock Test: Click Here to attempt free mock tests of AILET 2019. To submit the AILET 2019 Application Form, you will have to pay the following amount of Application Fee. Mode of Payment: The candidates can pay the above-given amount by Online mode using Credit card/ Debit card/ Net banking only. What You will Require for AILET 2019 Application Form? Now, before the candidates proceed to fill in details in the AILET 2019 Application Form, they should keep the following documents/ information ready. Scanned Copy of Photograph – in .jpg,.gif or .bmp format and file size should be not more than 150 KB. 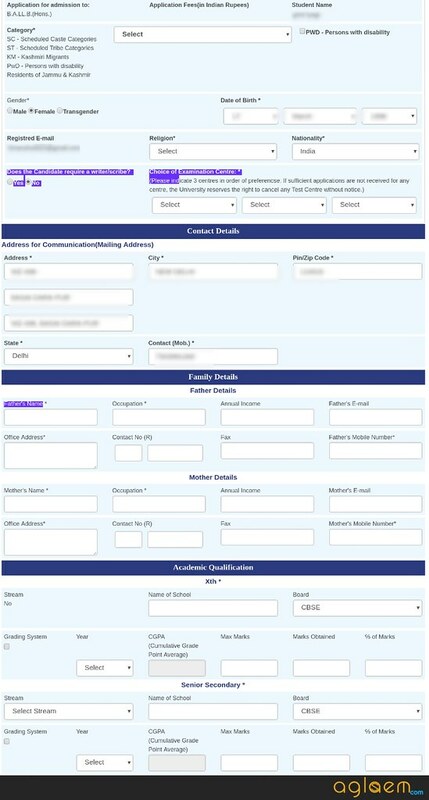 How to fill AILET 2019 Application Form? There are certain steps to fill the Application Form. Candidates must carefully read and check the further points so that there will be no confusion at the time of filling the application form. In the next screen, the candidates need to click on the “Create New Account” button. Now, to register online, you will have to fill in your Email ID, name, date of birth, mobile number, address, country, etc. Also, the aspirants need to create a Password at the time of registering online. After selecting the course, click on the “Apply Now” button. After you have successfully registered, the Application form for AILET 2019 will open on the screen. In the AILET application form, firstly you have to upload the scanned image of your Passport size photograph and signature. To upload an image, choose the file and then click on “Upload Candidate Photograph/ Signature” button. 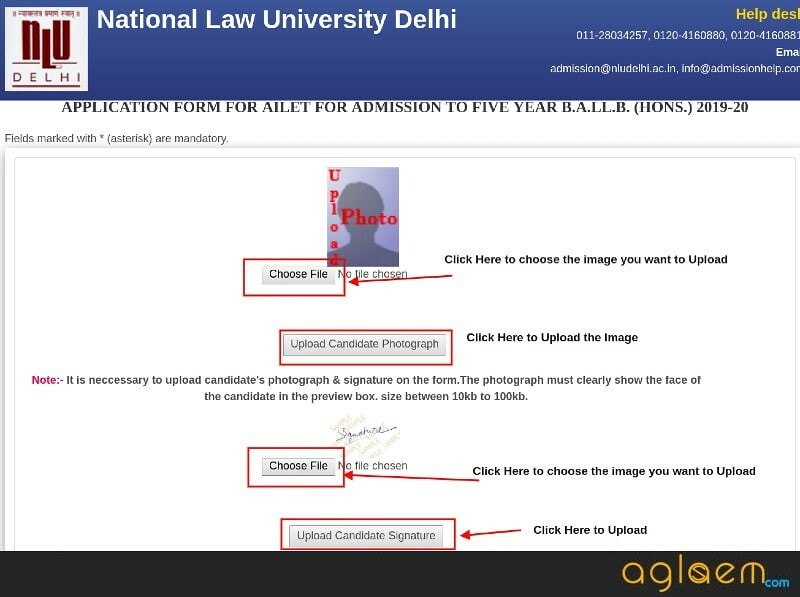 After uploading the images, the aspirants need to fill in their details in the AILET 2019 Application Form. Date of Birth – The Date of birth is as provided by you at the time of registration. If there is some change required, can do it. After entering the above-given details, tick on the declaration terms and click on the “Save/ Continue to Payment” button. The next step in the Application process is to pay the required amount of the Application fee. Select the check box and then click on the “Proceed” button. Enter the necessary details and then click on “Make Payment” button. Once the payment has been received, you will receive confirmation through mail after which you can view & print acknowledgment slip in the from their e-mail. 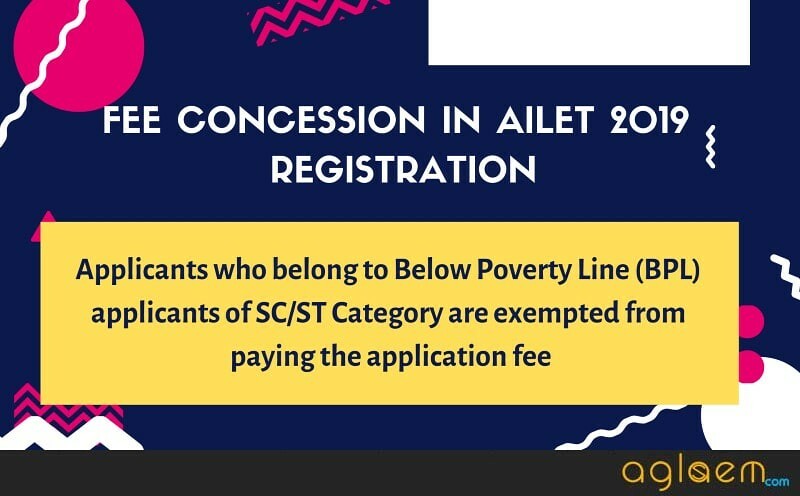 The candidates who successfully submit their AILET 2019 Application Form before the last date are issued AILET 2019 Admit Card. It is available for download from April 22, 2019, at the NLU Delhi official website. To download it, you need to log in by entering your Email id and Password. 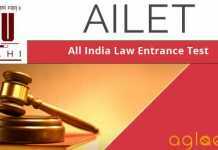 Carry the print out of the AILET 2019 Admit Card on the day of the entrance examination. It consists of personal details of the candidate as well as the exam details such as Date, timings, the address of the test center, etc. If you have any queries related to AILET 2019 Application Form, let us know in the comment section below. How can I see my Ailet Application Form which I have already registered? By viewing your application form.